Despite the relative underperformance compared with the other global peers on a year-to-date (YTD) basis, BNP Paribas expects the markets to move up going ahead and sees the S&P BSE Sensex at 40,000 levels. The first half of calendar year 2019 (H1CY19), it believes, will be a difficult phase for the markets due to continued election uncertainty, potentially rising oil prices, earnings downgrades and weakening high-frequency data. "Barring an extremely adverse election outcome, the positives could be a potential earnings revival led by continued policy reform, low interest rates, asset quality improvement at banks, and corporate capex recovering,” wrote Abhiram Eleswarapu, head of India equity research at BNP Paribas India in a recent India Strategy report. In this backdrop, BNP Paribas maintains a ‘neutral rating’ on India in its ex-Japan model portfolio, which continues to favour private banks and insurance. As a rebalancing measure, BNP Paribas recommends adding select defensives (Sun Pharma, Cipla, Coal India) and capex plays (UltraTech Cement, JSW Steel, Adani SEZ), but reducing consumer sector stocks (Maruti Suzuki, ITC); telecom companies (Bharti Airtel), energy (HPCL) and large-cap stocks in the technology basket (HCL Technologies). 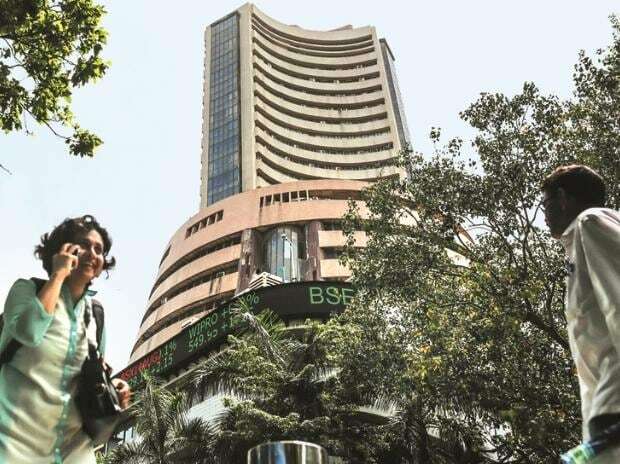 BNP Paribas also suggests investors book profits in select mid-caps (Reliance Nippon Life, Indigo, Pidilite) in favour of other alternatives (ICICI Lombard General Insurance, SUN TV, Larsen & Toubro Infotech, Emami). Their small-cap additions include TeamLease Services, Jamna Auto, and NIIT Tech. Since the last rebalancing (September 21, 2018), BNP Paribas' Quality Growth and Quality Value lists have extended their outperformance of the Nifty by 1 – 1.4 percentage points (ppt) and BSE 500 by 2.7 – 3.1 ppt, led by financials and midcap picks, which offset weakness in autos, telecom companies and consumer stocks. “This performance has come in a sluggish market that has been a challenge for active fund management. Since their introduction in June 2017, our ‘Quality Growth and Quality Value’ lists have risen 15% and 20%, respectively versus over 12 per cent rise in Nifty50 and a 7 per cent surge in BSE 500 index,” the report says. On valuations, BNP Paribas says the Nifty trades at about 17x one-year forward P/E and 2.5x P/B, which is slightly above historical levels. Barring few stocks, valuations have fallen for several Nifty names and much more so for those outside the Nifty. "Only 14 Nifty stocks trade at a premium to their historical average on one-year forward P/B and 18 on a one-year forward P/E basis. These are mostly in IT services, consumer and select financials, very few of which feature in our rebalanced lists," BNP Paribas says. Quality Value list: IndusInd Bank, Sun Pharmaceutical, UltraTech Cement, Adani Ports & SEZ, JSW Steel, ICICI Lombard GI, Emami, Sun TV Network, TeamLease Services, Jamna Auto, and NIIT Tech. Quality Growth list: Maruti Suzuki, ITC, Vedanta, Bharti Airtel, Reliance Nippon Life, Pidilite, InterGlobe Aviation, V I P Industries, Syngene, and WABCO. Quality Value list: Hindustan Petroleum Corporation, Maruti Suzuki India, Bharti Airtel, HCL Technologies, State Bank of India, Coromandel International, InterGlobe Aviation (Indigo), HDFC Standard Life Insurance, V I P Industries, Syngene, and WABCO.